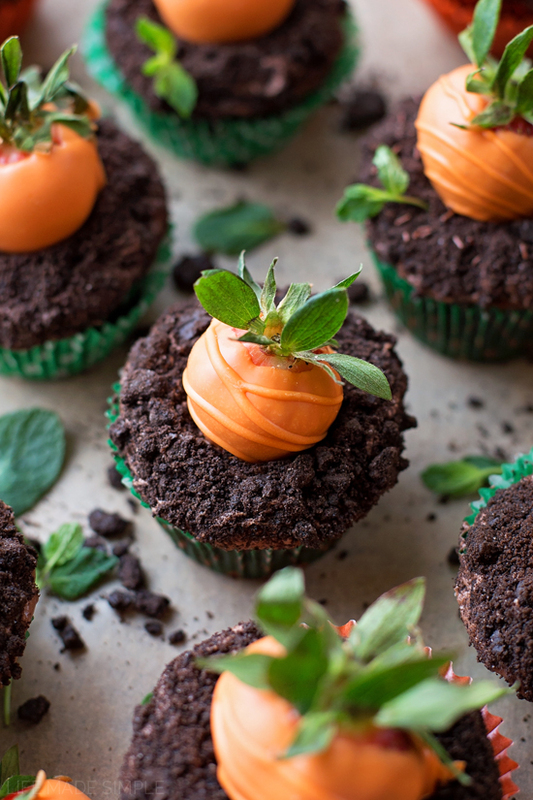 These cute little carrot patch cupcakes are perfect for spring! They’ve got a chocolate base & buttercream, cookie “dirt” and a strawberry “carrot” on top. 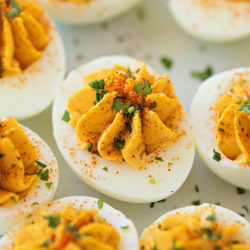 The Easter Bunny is going to love nibbling on them! ???????????? Remember how I posted that super springy blueberry lemon bundt cake a few weeks ago? 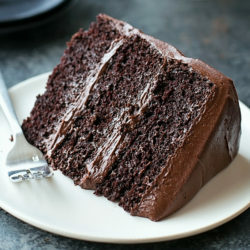 Well now I’m back sharing another recipe using Pillsbury™ Moist Supreme® chocolate cake & frosting! Next time you’re strolling down the baking aisle at Walmart, make sure to stock up on Pillsbury™ cake mixes and frostings so you can make these adorable cupcakes for your Easter celebration. They’re so fun & easy to make, kids will love helping out too! Start by mixing up the cupcake batter. 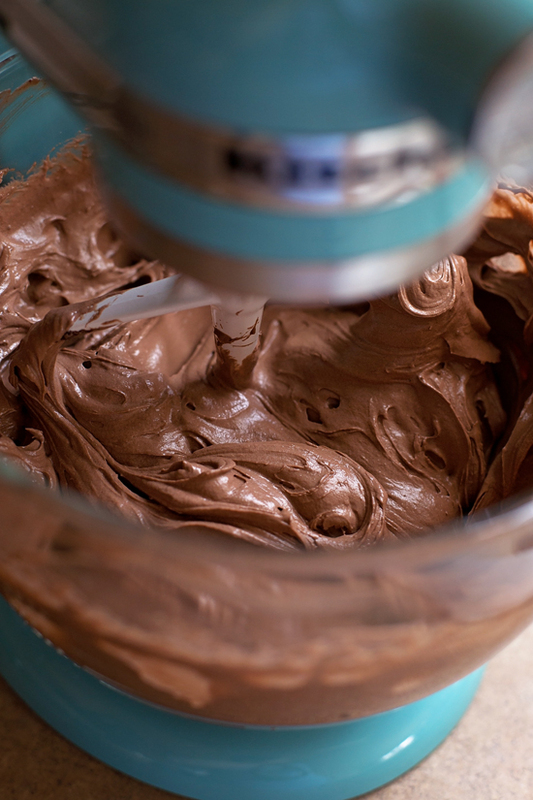 You don’t need a fancy stand mixer, a hand mixer will work just fine. Bake the cupcakes for 18-20 minutes at 350 degrees or until the tops spring back when touched. While the cupcakes are cooling you’ll want to crush the chocolate sandwich cookies (scrape the cream out and discard) and dip your strawberries. ???? 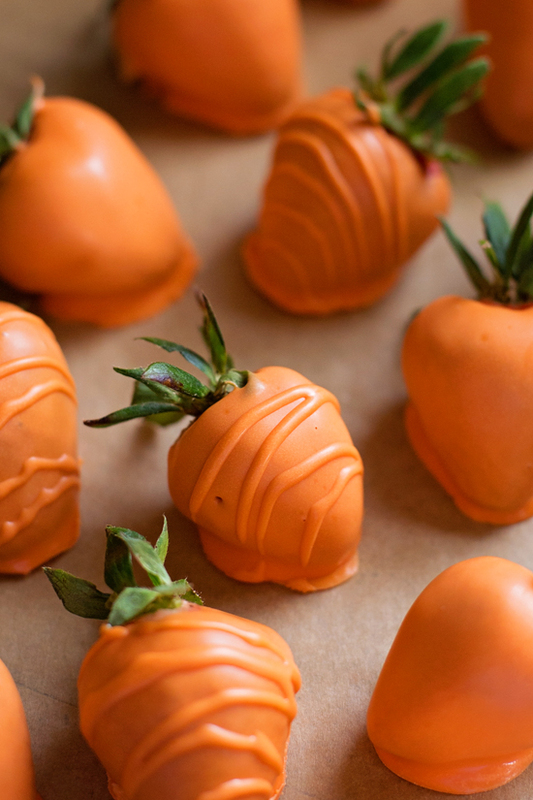 Don’t be intimidated by the strawberry “carrots.” Melt a bag of orange candy melts with a bit of coconut oil and whisk until smooth. Dip clean, dry strawberries into the mixture and swirl to remove any excess chocolate. After the coating is dry, you can clip the corner of a plastic bag and drizzle a little extra over them to create some texture. Totally optional but really cute! 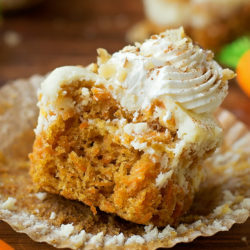 If you’re looking for a unique treat for your Easter gathering, I’d highly recommend these carrot patch cupcakes. 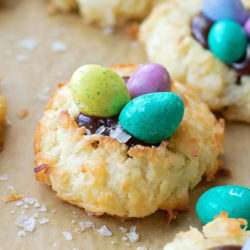 They only take an hour to make and are guaranteed to be a hit with whoever you share them with! Happy Easter!! 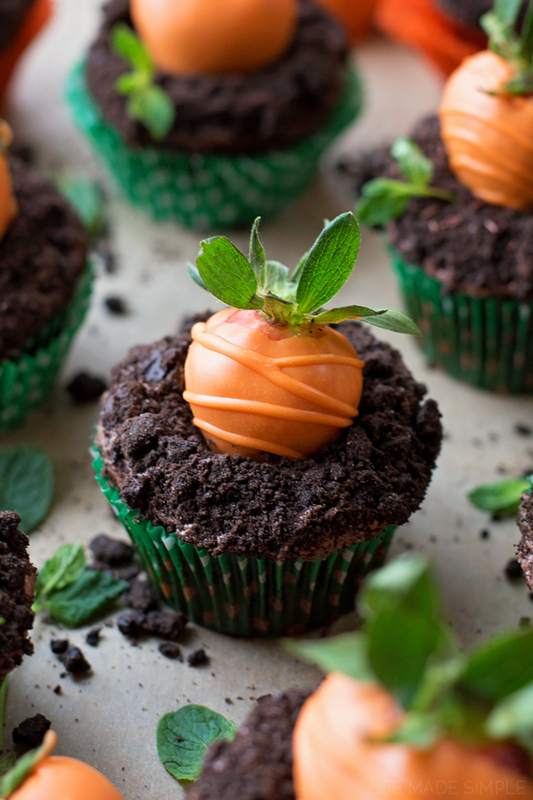 These cute little carrot patch cupcakes are perfect for spring! They’ve got a chocolate base & buttercream, cookie “dirt” and a strawberry “carrot” on top. In a microwave safe bowl (or over a double boiler), melt the coconut oil, then add the candy melts. Whisk until smooth. 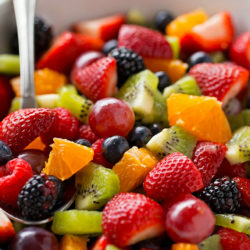 Remove from the heat and dip the strawberries in, swirling to remove excess chocolate. Set on a piece of parchment or wax paper. Fill a piping bag or plastic zip bag with the remaining melted chocolate and drizzle over the hardened strawberries. 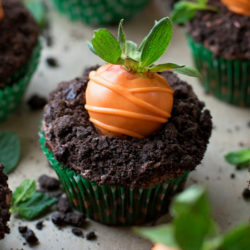 While the strawberries are setting, remove a quarter size hole in the center of the cupcakes, about 3/4-inch deep (you can also use a cupcake corer if you have one). 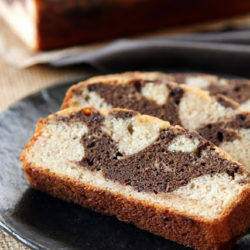 Using an offset spatula or butter knife, frost around the hole, then sprinkle the cookie crumb “dirt” on top. 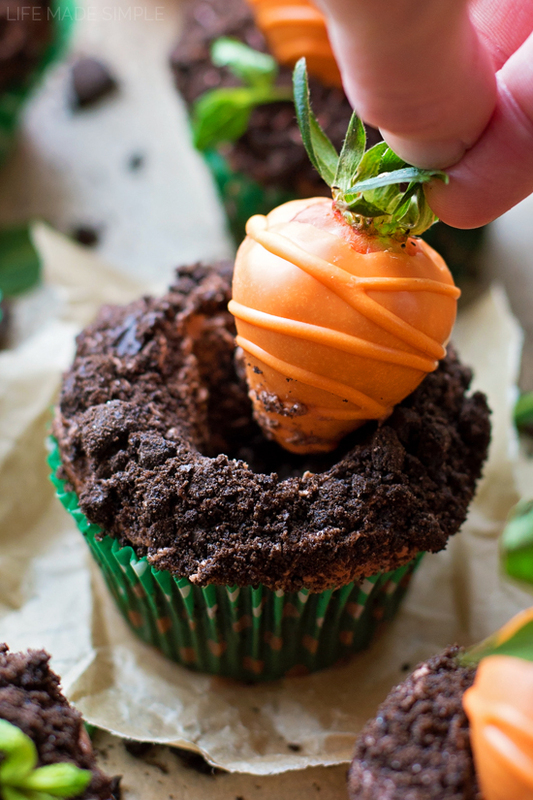 Burry a strawberry “carrot” in the center of each cupcake. Garnish with little sprigs of mint for sprouts if desired. 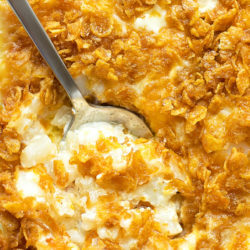 *I used full-fat sour cream. – Cupcakes will stay fresh for up to 3 days. Save on Pillsbury products by snagging a coupon HERE. 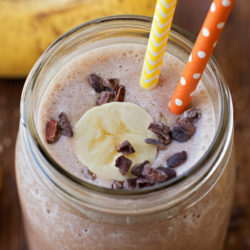 Discover more ways to #MixUpAMoment on Pinterest! We’d love to see how you #MixUpAMoment with your family. Snap a picture and share it on Facebook, Instagram or Twitter! Disclaimer: comments submitted may be displayed on other websites owned by the sponsoring brand.